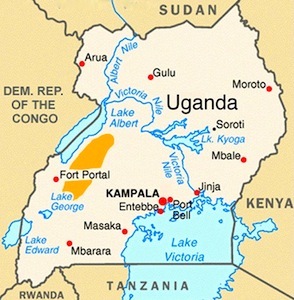 In 1901, the British introduced cacáo to its Uganda colony at the southern tip along Lake Victoria bordering Tanzania. There they set up the Botanic Station of Entebbe. 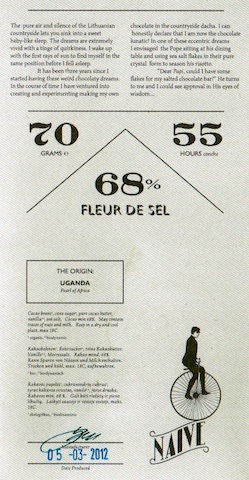 Mixed varietals were obtained from the Royal Gardens in England, sourced originally out of Trinidad in 1880/81. By 1911 field surveys listed “red” & “yellow” varieties randomly referred to as Forastero & Calabacillo, with some bearing Criollo in their midst. Today the cacáo groves lie more to the western part of the country, conjoined in some way to those of Congo next door. They grow rather quietly in a country better known for genocidal sociopaths like Idi Amin & Joseph Kony — a gross caricature of Ugandans who are trying to eke out a living peacefully. The lone exception: Verticillium Wilt disease which devastates cacao in these parts, resulting in losses of up to a third & one reason why cacao has been rather insignificant here.